Horses are very much like humans as they are social animals. They have defined roles within their herds. They would rather be with their peers. They have distinct personalities, attitudes, and moods. An approach that seems to work with one horse, does not necessarily work with another. 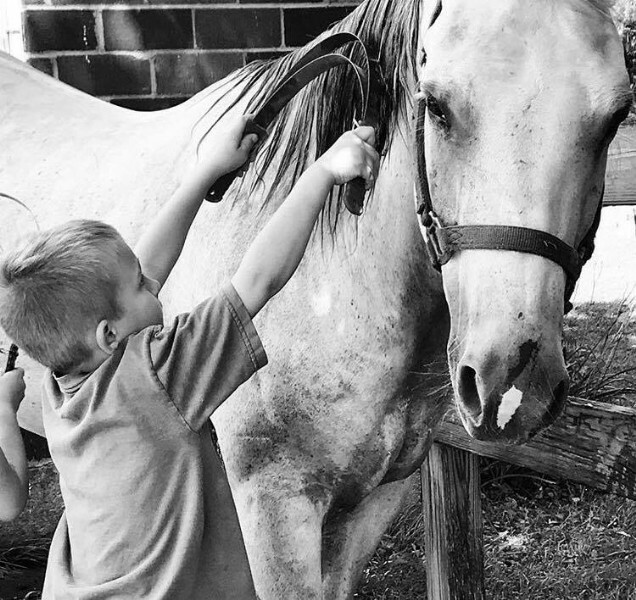 Horses provide vast opportunities for learning about ourselves. Most importantly, horses have the ability to reflect our emotions and what our body language is telling them. Horses are honest, they meet you where you are at, they do not judge, they live in the moment, which makes them especially powerful messengers. They help in the process by promoting self-awareness, providing insight, and by teaching us to trust and communicate in new ways...empowering change. Horses are congruent, they are the same inside and out, so what you see is what you get. A horse can often tread where no one else can go. They can break down the boundaries and the walls that keep us stuck in that hopeless negative place. A horse can help bring that broken soul to the ah ha moments and emotional breakthroughs that can bring emotional healing. Animals have a unique ability to reach out in amazing ways especially to those who are hurting.